You don’t always need fancy accessories to use your tablet or smartphone more conveniently around your home. Take the ChillTab 2 Universal Tablet Stand: it is a simple tablet stand that holds your device at the perfect angle for video conferencing. Tablet owners could also use this for reading documents or keeping up with recipes on their iPad. The ChillTab2 is 4.75 inches wide and 6.5 inches high. 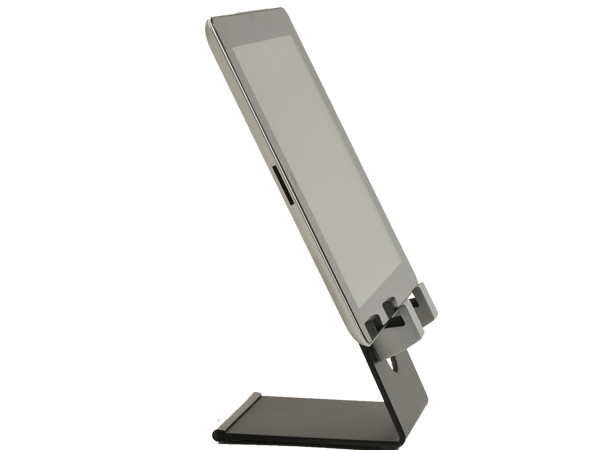 If you need a stand to type on your device you may want to give the ChillTab 4 a look. The stand costs you for just under $35 CAD.